Hi guys! 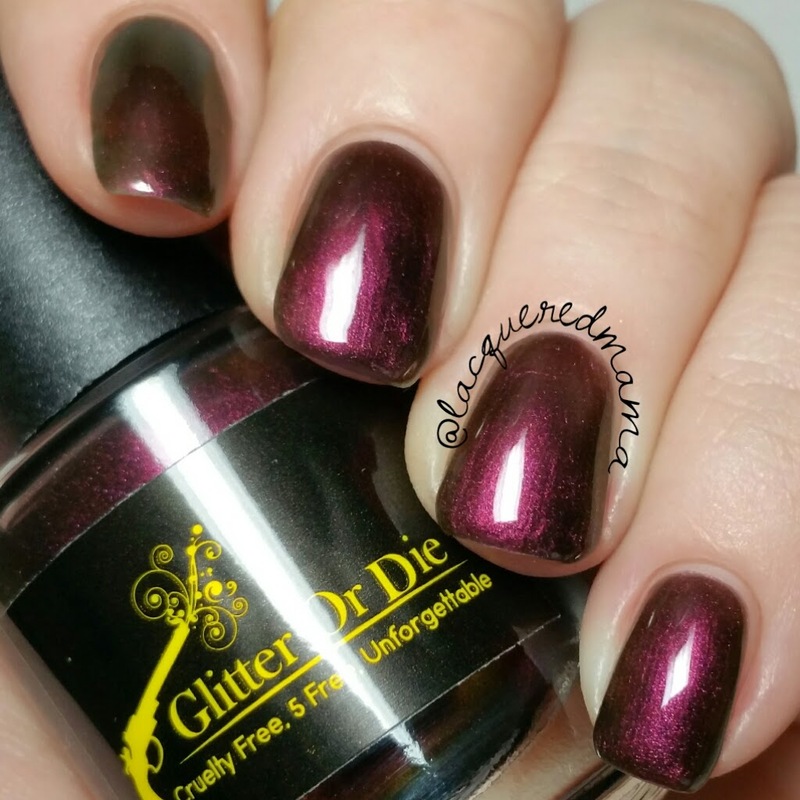 Today I have a gorgeous new collection from Glitter or Die to share with you! The Sky collection! 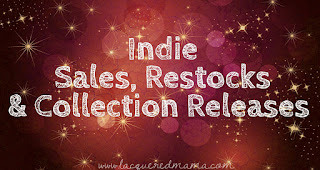 The Sky collection is the first part in a series of Gaia based collections. This one is celebrating the one thing we all have in common, no matter our geographic, or climatic locations. 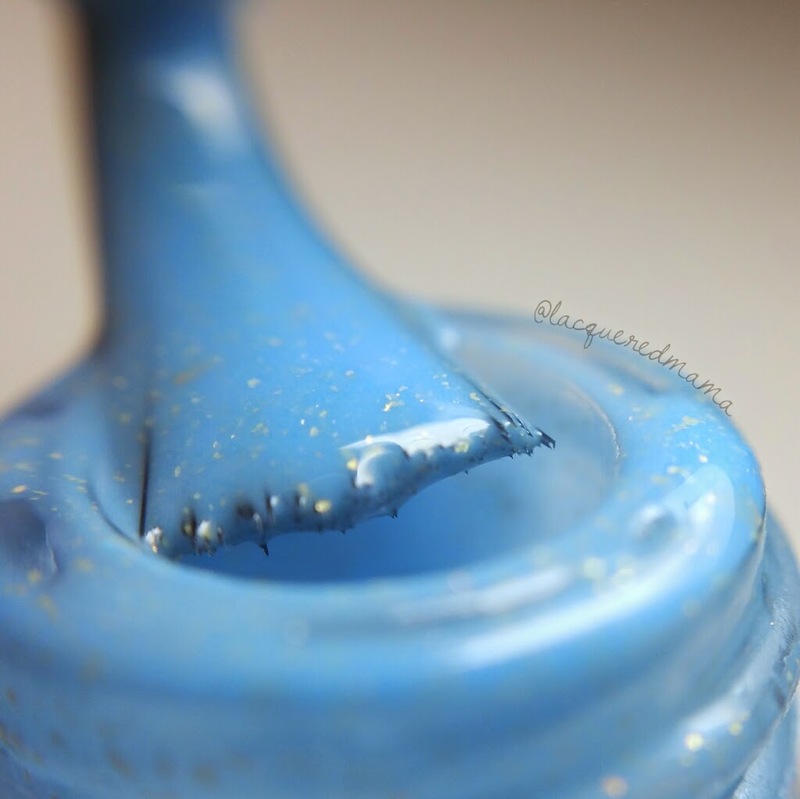 Each polish is named for their language's word for "sky". 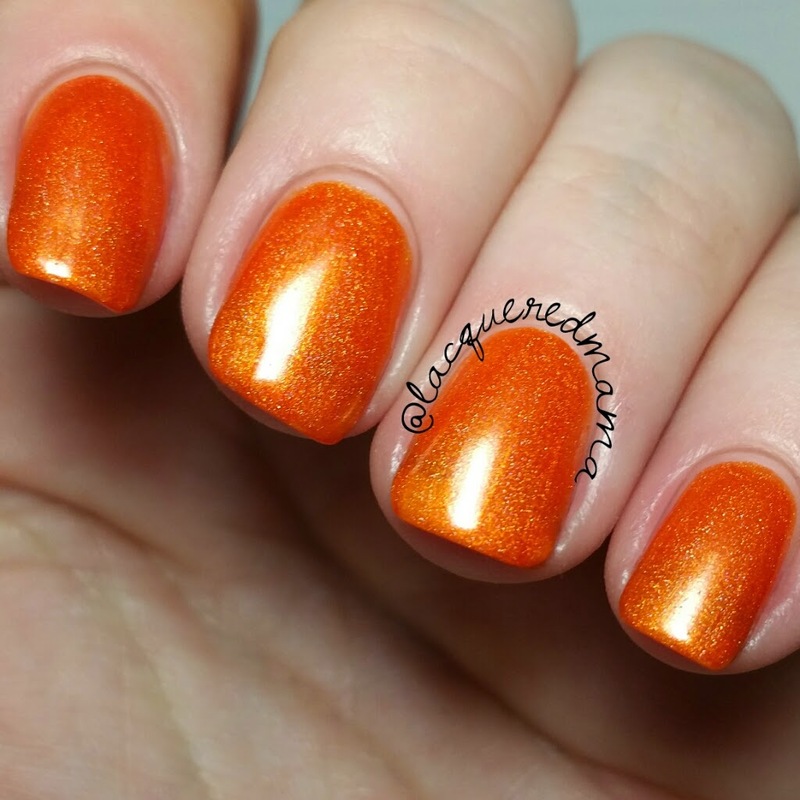 Asamana (Hindi) is a gorgeous orange holo with a fantastic formula! 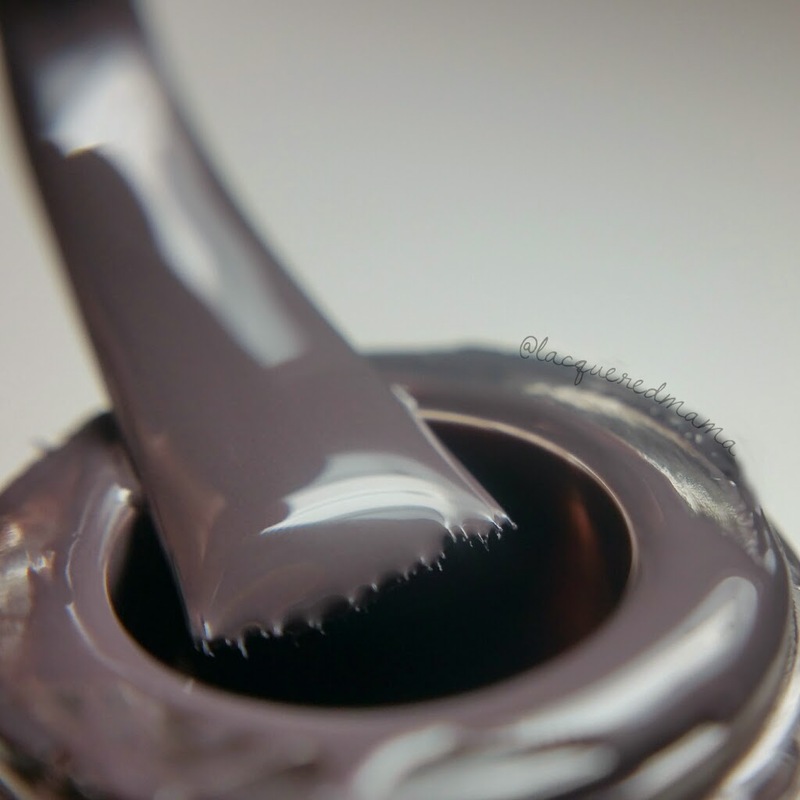 Super smooth and creme; just two coats plus topcoat! This beauty is meant to capture the intense sunsets found in high heat locations. Nailed it! Got (Azerbaijani) is a beautiful ultrachrome that shifts from a deep burgundy to an orangey rust, then to a brown and ending in a slightly goldish green. As an ultrachrome this has an awesome formula. 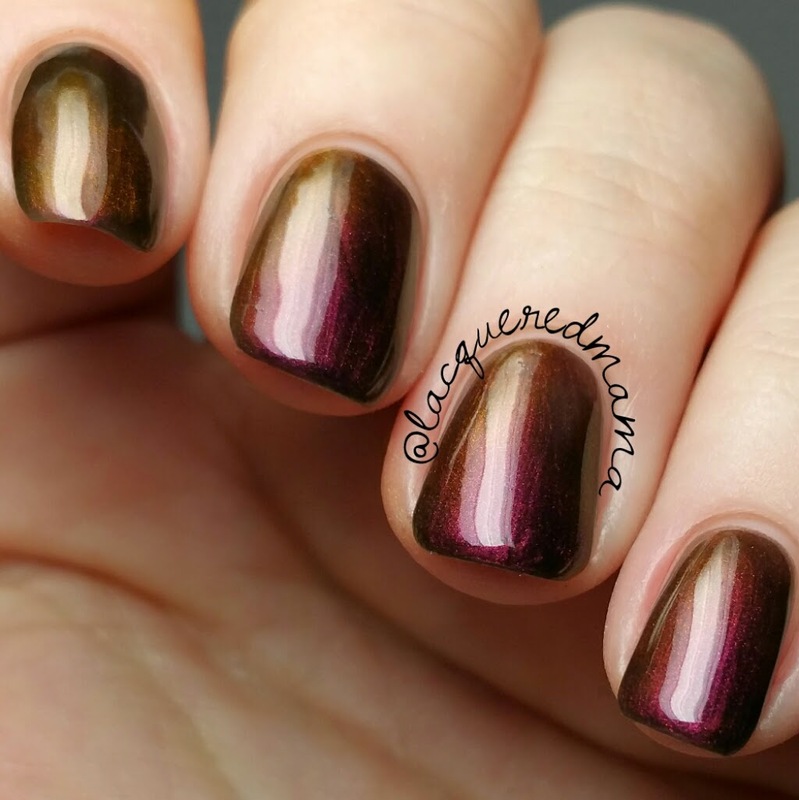 Just two coats alone or one over a dark base. 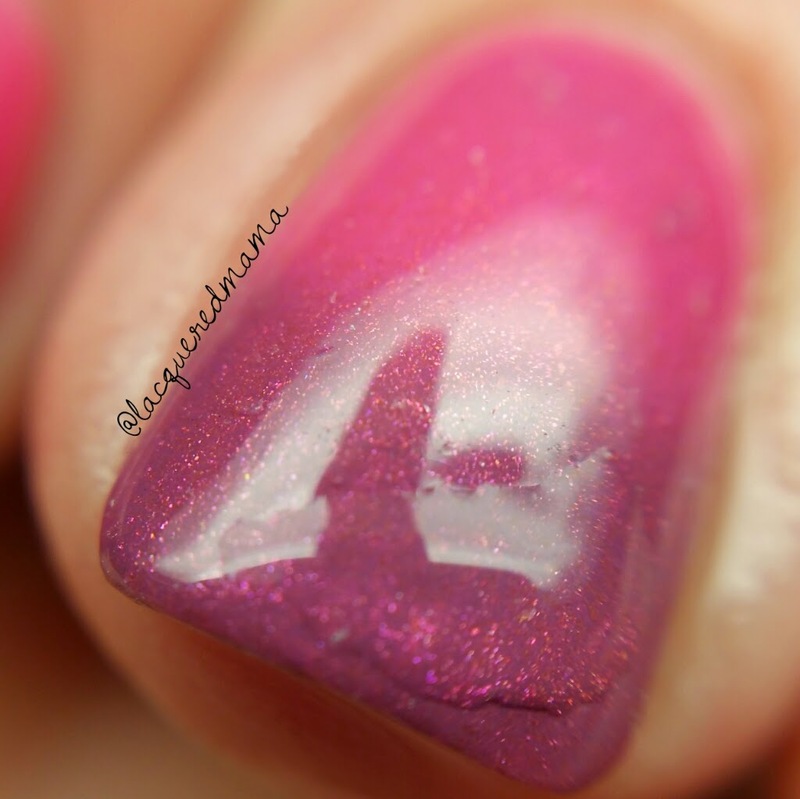 For my photos I did two coats, plus topcoat! Got is meant to show the beautifully, strange sunsets found in high mountain regions. Speir (Irish) is a gray creme with a hint of red in it. I'd almost add it into the dark taupe family. Gorgeous and amazing formula! Crazy smooth and a one coater! This beauty was inspired by the red/gray hue of angry, swollen clouds prior to a thunderstorm. In most of my photos it appears to be just a basic dark gray, but you can definitely see it's red tones in the macro bottle shot. 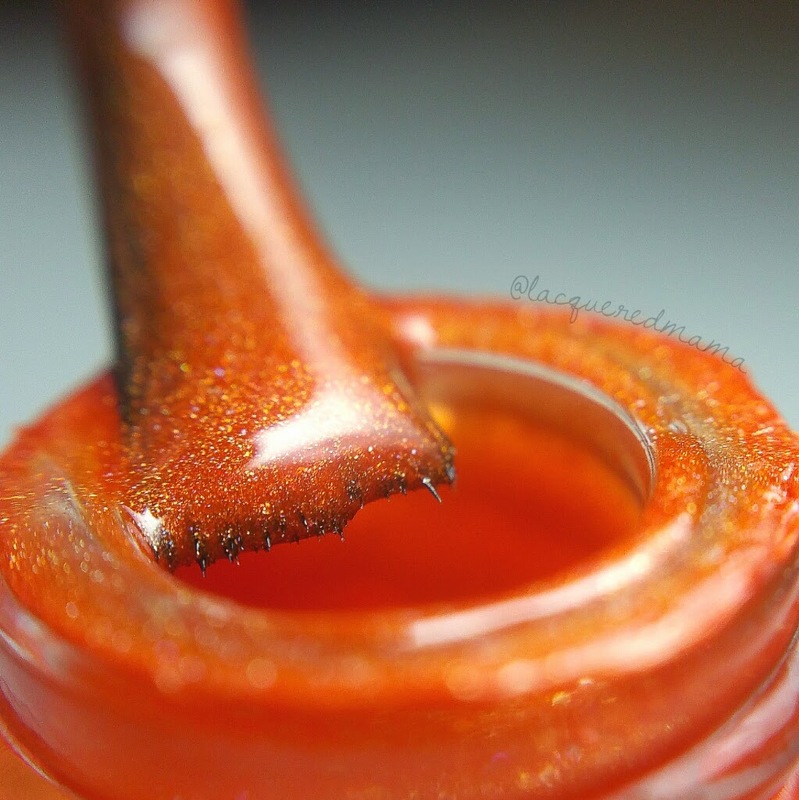 Mbinju (Swahili) is a lovely shimmery thermal. It changes from a pretty, bright pink color when warm, to a darker, almost purpley shade of pink when cold. This is amazing as far as thermals are concerned. 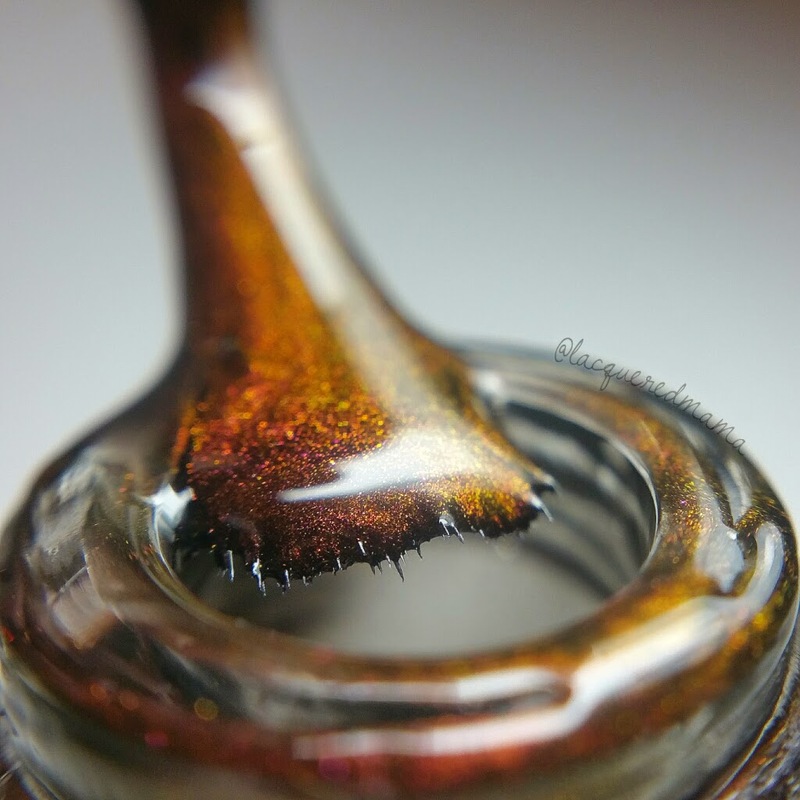 For the full, color changed macros, I did dip my fingers into cups of warm and cool water; however the photo holding the bottle needed absolutely no help to change. The free edge of my nail is obviously cooler than the nail bed, so the change its extremely noticeable. 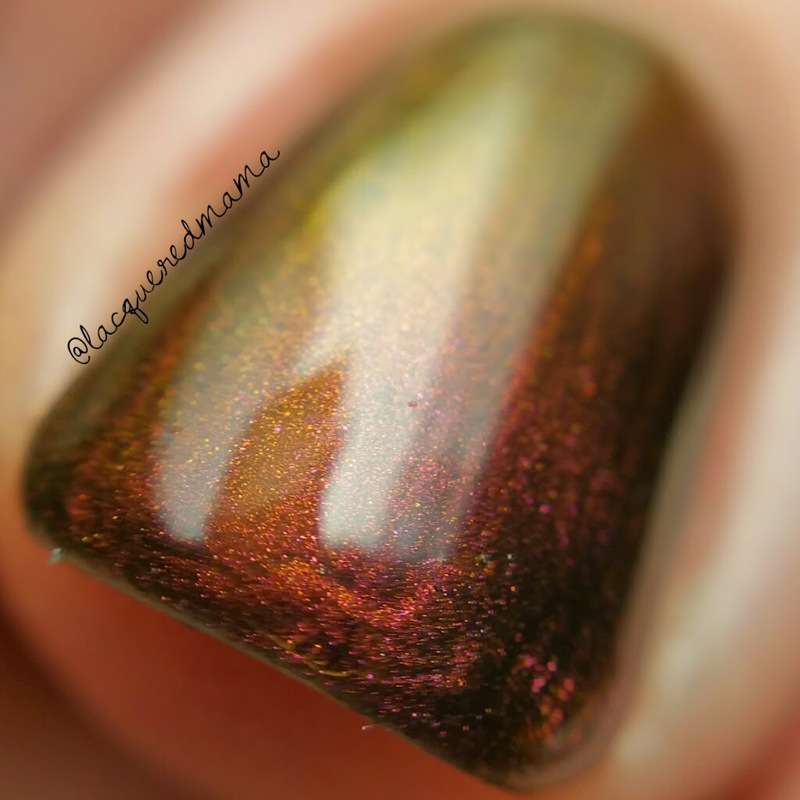 I forgot that it was a thermal when I applied it, so I kept putting on more and more coats to make the color stay the same...face palm! After I realized I was a moron, I took it off and started over. 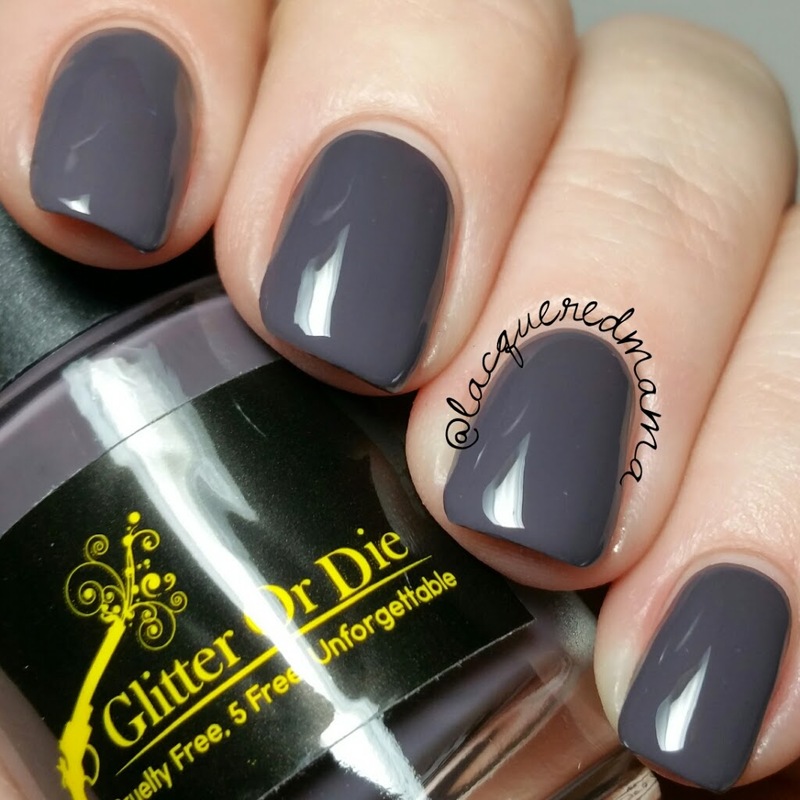 This is just two coats, plus topcoat! This, perfect for Valentine's Day, color is meant to mimic the incredible pink sky's found in desert areas. Newadi (Navajo) is another amazing thermal! 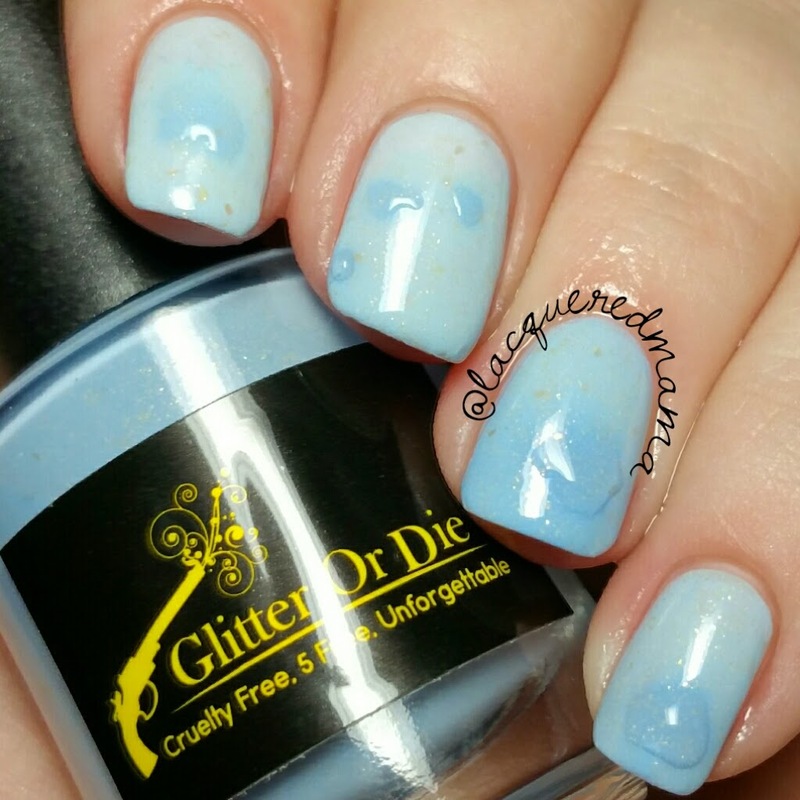 This one changed from a white, creamy shade when warm to a lovely robin's egg blue when cool. 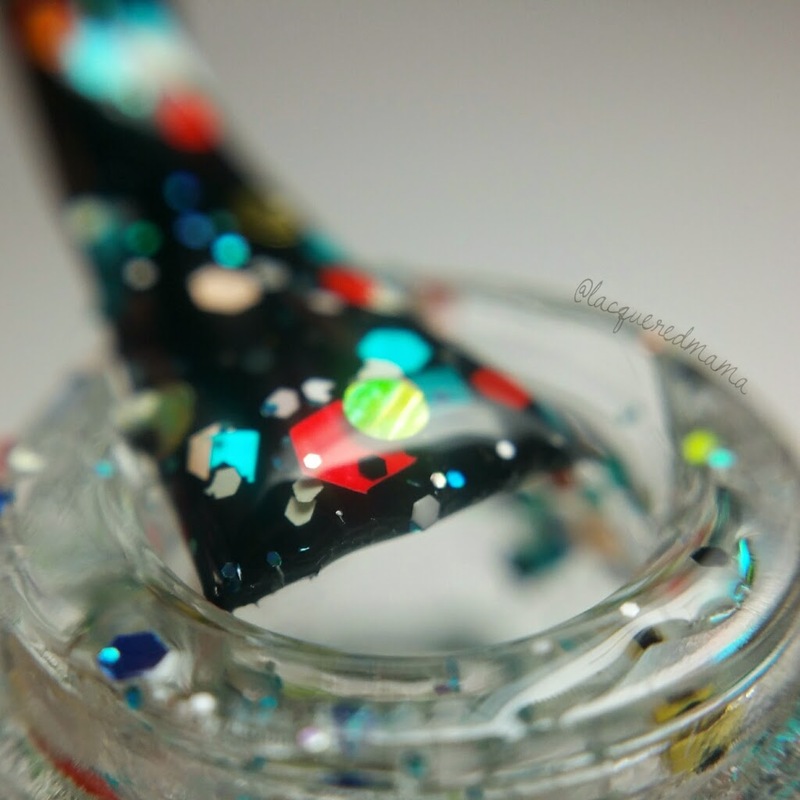 It is also packed with beautiful gold flecks and flakies! Again, just two coats, plus topcoat. This gorgeousness reflects the peaceful blue sky after a day of snow. This is so flipping pretty! 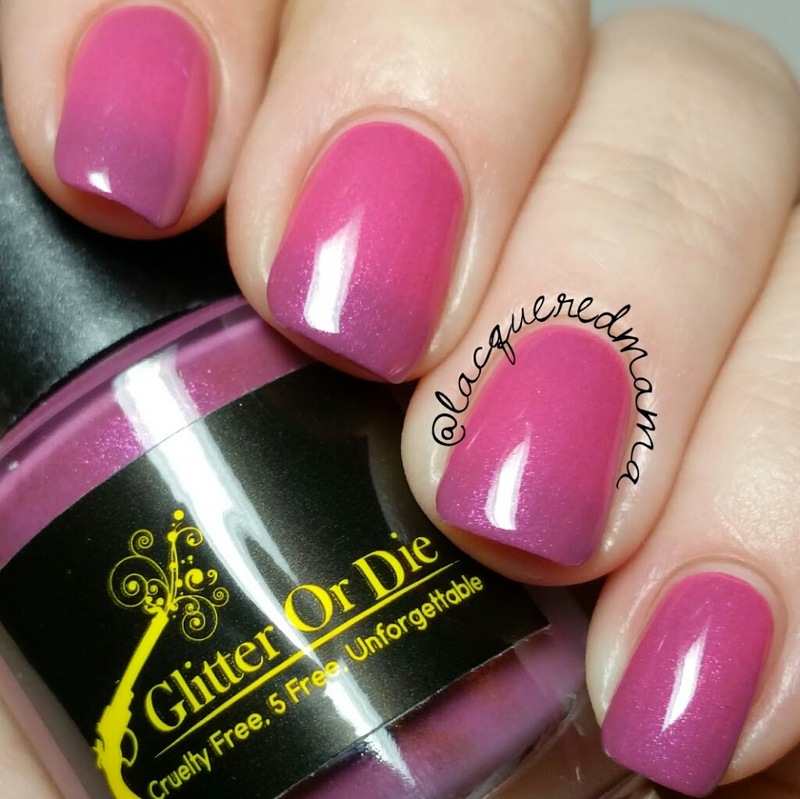 Ceu (Portuguese) is a super fun and gorgeous glitterbomb! 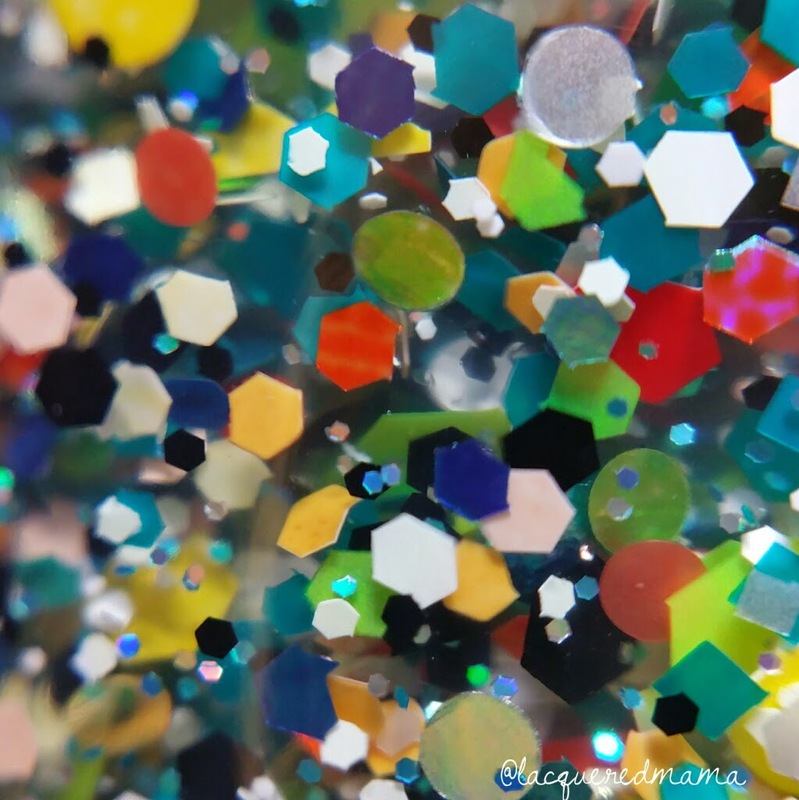 It is filled with so many different colors of glitter that I can't name them all. From teeny tiny, to large hexes...this has it all! 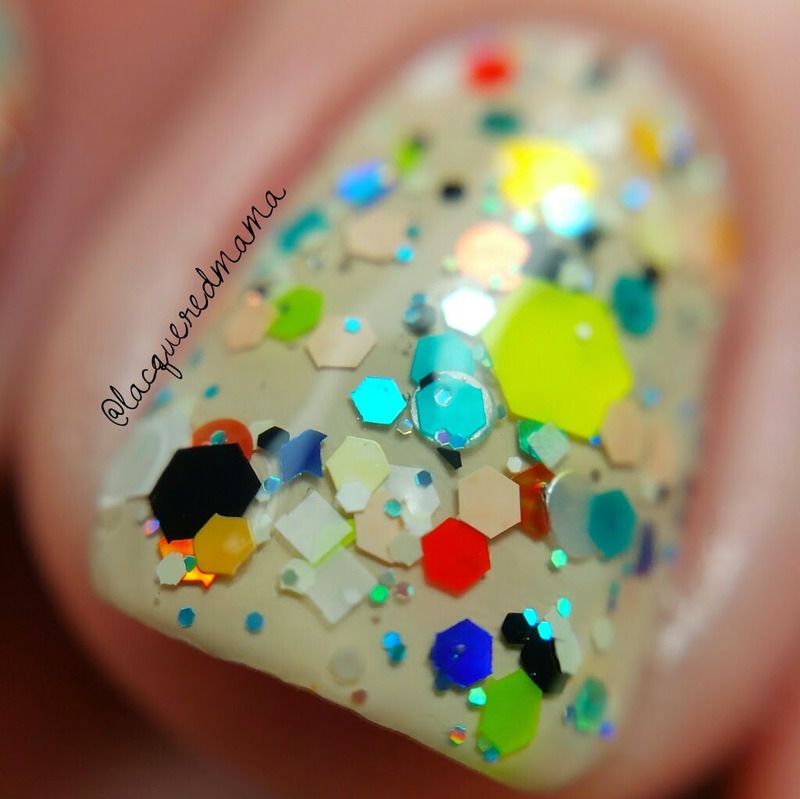 This glitterbomb is seriously everything...I never knew, I always wanted! It is amazeballs! 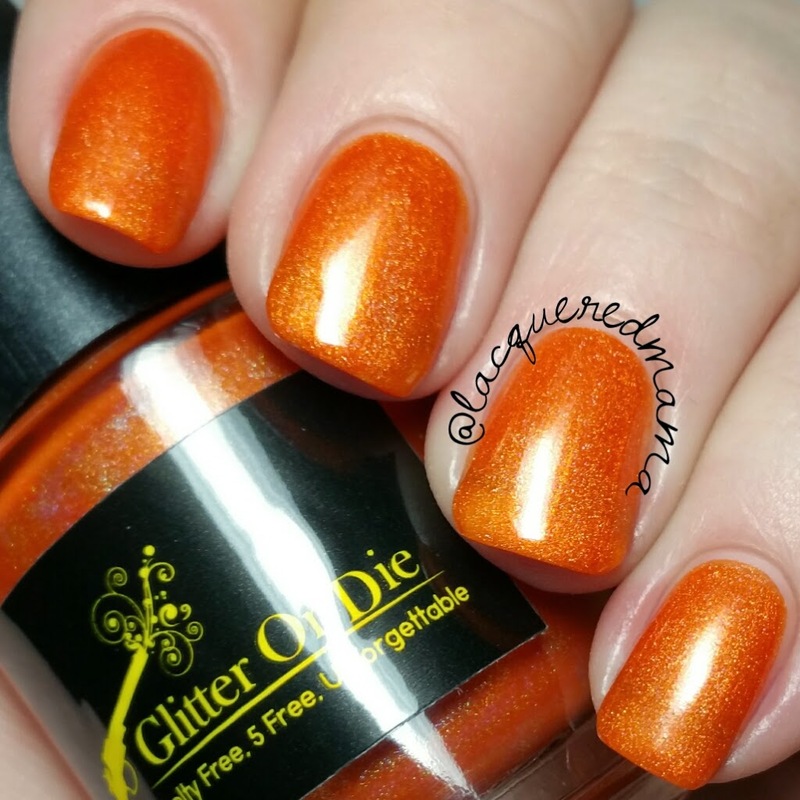 This was the last polish I swatched and I wore it for two days! I did two coats over OPI You're So Vain-illa. 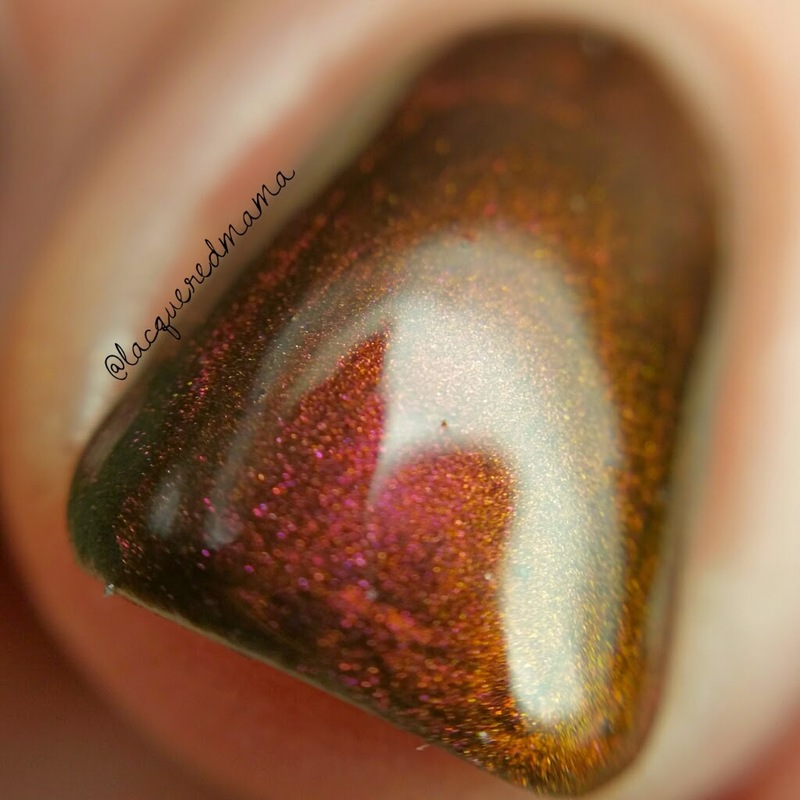 You could probably get this opaque on its own if you used the sponge technique and did several coats. 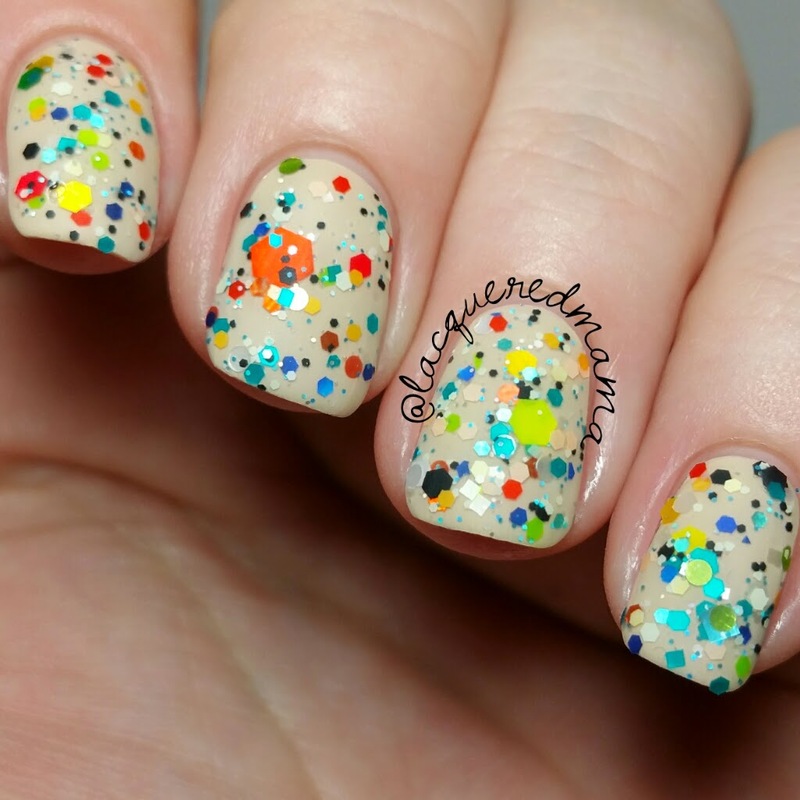 This fun one depicts the human celebration; like when we shower confetti into the sky! I am, as always, very impressed by the formulas, as well as the color and collection inspirations! Each polish was better than the last and I most definitely will be wearing Ceu a lot! 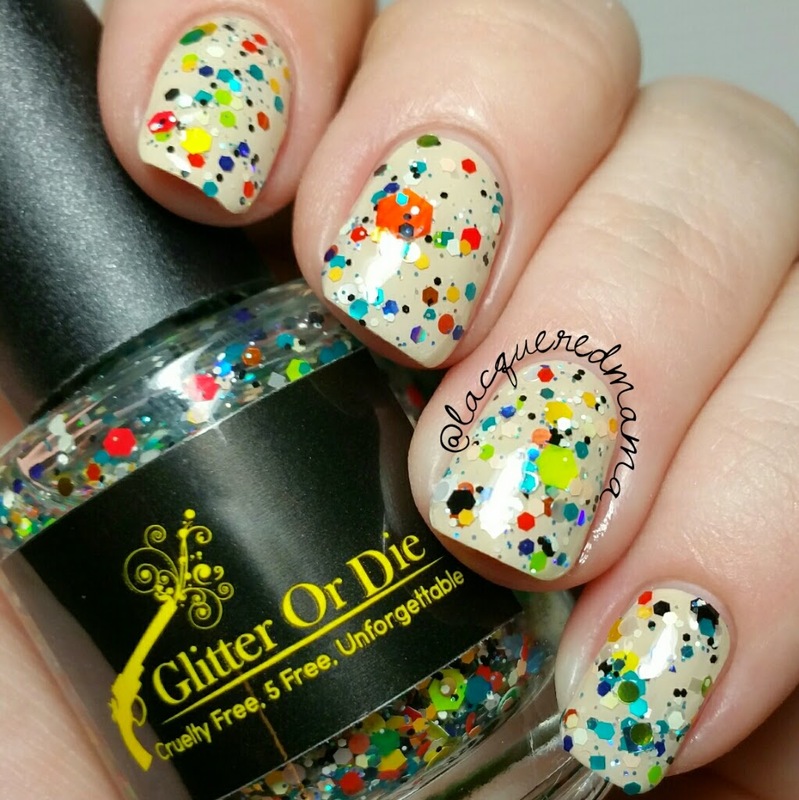 Rosie always nails it with her glitterbombs! 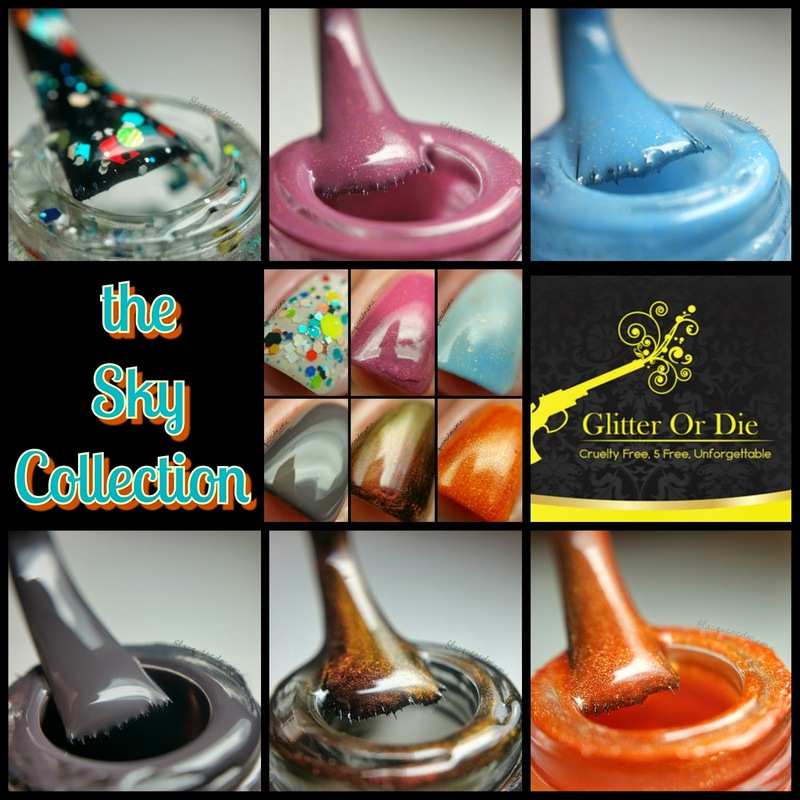 The Sky collection will be available for purchase in Glitter or Die's shop on January 30th! 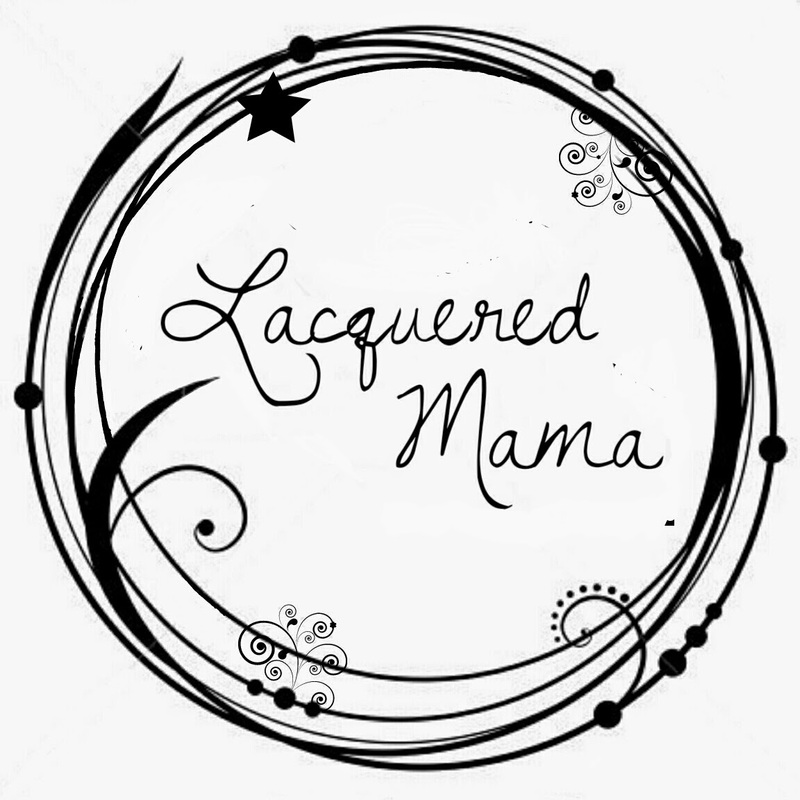 Be sure to follow her on all of the social media outlets listed below for information and updates on collections and releases! 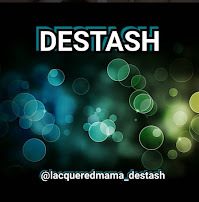 This blog is about different colors. Th main focused is on the colors of glitter and dye sky. Both are good for painting but bot for dissertationteam review. In writing there is no need to use colors.